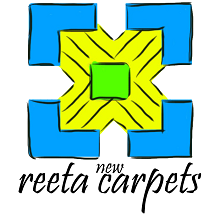 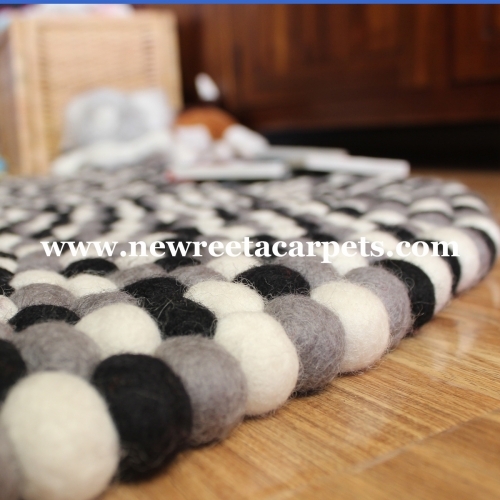 Black And White felt ball rug is made from 100% New Zealand Wool and is handmade at our factory at New Reeta Carpets in Nepal. These black and white felt ball rug is hand sewn together and can be used on both sides. 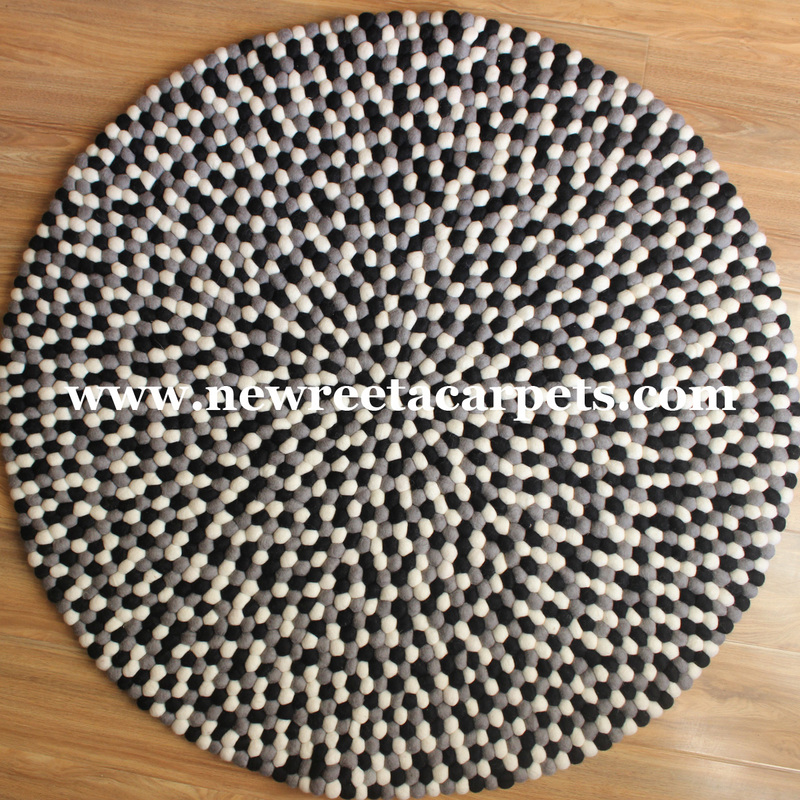 These amazing black and white rugs are perfect for any room in the house. 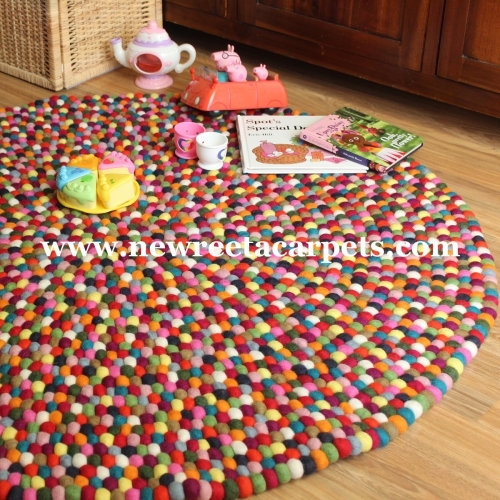 With the flair and creativity of the design these heavy duty rugs would last a lifetime and are sure to make a statement. 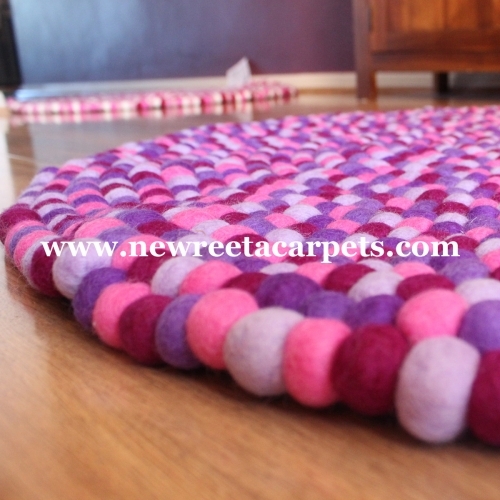 Each felt ball is 100% New Zealand soft wool, is felted and then hand stitched together.